The right checkout page is very important for e-commerce success and for that you need an effective checkout landing page template. Did you know that 68% of online shoppers leave their carts when shopping online? What does that imply? It simply means that, though online shoppers are comfortable with a total expenditure of $1.2 million shopping online in every 30 seconds, a good number still do not polish up their online procurements mainly because of a shortfall in design. So, what’s The Cause of the Upsurge in Hanging Transactions? Many of the hanging purchases are triggered by the fact that, e-commerce stores have items like checkout pages, web design errors, landing pages and practices that scare away potential buyers. • Compelled sign ups or account registrations. • Countless fields or a lot of information required. With these issues, your e-commerce store and checkout are disorganized, valueless, and a good for nothing store. But you are about to embrace and mug up the secrets of heightening conversions, merely by concentrating on your checkout page. Probably the topmost reason behind most people abandoning carts is high prices on goods. No one wants to lose his/her money, not inescapably because they are poor, but because it ignites a real pain. This simply means a customer compares the purchase of a high costing product in your check outflow to piercing the space between your nail and your finger using a sharp needle (very painful). The principal operating against your investments with your checkouts is termed as loss aversion. Which states that your customers would rather keep away from acquiring a new product (i.e., your product) than sacrifice what they already have (i.e., money) to acquire it. When it comes to the cost of your products and services, you ought to play your cards wisely. Calling out a hard-earned dime from the pocket of a customer is not a mere joke. But it is easy to work out against it to those users who aren’t uber-frugal. 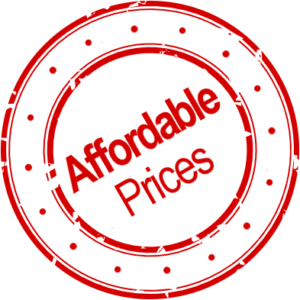 To make your prices more acceptable, avoid causing a stir by indicating price tags on your checkout pages. Have you ever realized that high shipping cost is the topmost reason for abandoning carts? Well, 59% of your customers want to view the overall cost, plus shipping before they go to checkout. This is according to Onewebup. Did you know, free shipping offers are more compelling than the price discounts offered to online buyers? Fine, a shipping offer that holds back a customer $7 is more alluring than a discount that slashes the procurement by $10. What a great tactic it is, to shift from product discounts to free shipping deals. As much as account creation is one of the chief reasons for cart abandonment, you cannot skip your account registration process to attract more sales. 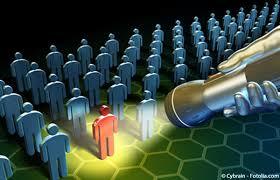 If your business compels that an account must be created by visitors even if it might scare them away. Then make the experience faster and friendlier. Every field that is in your form has an impact on your purchases. Studies have shown that simple and smart forms have a high success rate. A good example is about a company that reports a 160% increment in form creations when they descended from 11 fields to 4 fields. Expedia, in 2011 made away with one field in their checkout landing page to surge profits by $12million. If a field has no use in your form, then you need to dismiss it with an immediate effect. Did you know that the word “continue” on a button works better than the word “register”? But automatically you don’t want to halt at basic or placeholder text. After all, what impact does the word “continue” have to your users. “Continue” alone plants much to interpretation. Visitors might wonder, continue to where? Continue onwards to pass in my payment details? Or continue shopping. 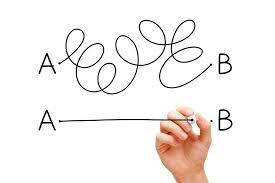 Being ambiguous ignites more friction - so keep away from it. And when you are in it, reflect on these collective button labels in carts. • Only include a single button per page and a PayPal button on the payment page. • Adjust the Helsinki out of that single button. • Convert all other buttons into anchors that cannot be misguided for undertakings that will move a visitor forward in your checkout. Did you know that non-technical web users are normally not bothered by security until the moment they are instructed to give out their credit card particulars? Studies have indicated that eliminating security signs earlier in an undertaking helps to boost opt-ins. Therefore, placing McAfee secure badge adjacent to the credit card fields can provide the extra assurance that users require during an imperative moment. Transformations take place in our minds. Your checkout’s main obligation is basically to simplify transformations by making it exceedingly easy and appropriate for your prospect to purchase. Never forget to maintain the ultimate objective – giving out the cure to one’s pain. Different people use different devices in accessing your site. That calls for diverse modification of your checkout lander in order to meet the needs of all of them. Around 73% of visitors won’t go back to an erroneously loading page. Pinch and zoom are apparently off the table. It is wise that your visitors should not experience this type of checkout. Coming up with an exceptional checkout landing page from scratch might be very tasking and expensive. Also, a responsive design is not an assurance of increased conversions. Use Lander templates to generate customized messages for mobile users and transform them into a single touch. Currently, 60% of all local searches are made using tablets and smartphones but this is not the case with checkouts. Web users still live in fear, they still feel unsafe and insecure which is why coming up with a simple, and a stress-free to use checkout is highly recommended for high conversion rates. • Ensure your Call to action buttons show up. 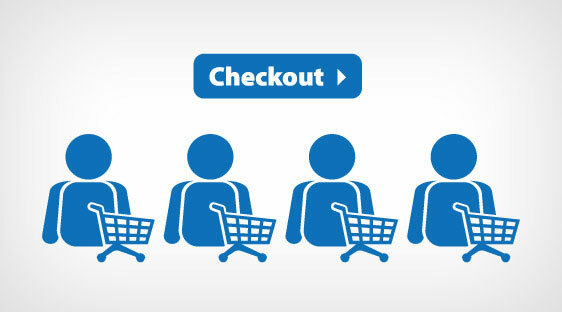 • Craft a diminutive checkout flow. Your checkout landing page must be accessible from any position of your website. While users hover around the site and add products in their cart, the best way to assist them to accomplish their purchase is by triggering a pop up that guides them to instant checkout. There are many ways to improve and customize your checkout landing page. Meanwhile, the ultimate step is to frequently weigh and test your results. We offer highly tested and remarkable tools for a unique checkout landing page templates at affordable prices.